Mr.Ogie.Kh is an initiator and one of founder of Blue Mongolia Tour agency, which was daughter company of Ariun company. Founders' phylosophy is Travel & Get introduced with different colors of the world. So he founded Blue Mongolia travel agency in 2001 and started to help foreign tourists to discover the country of Mongolia and nomadic Mongols. Mr.Ogie always says that travel gives a person much of understanding of himself, appreciation of others culture, thinking about the life, therefore, the travel is a tool to understand the world and in other words, it is life lesson. Since welcoming foreign tourists to Mongolia and providing them with travel service, we already served many of tourists from more than 40 countries. Since 2015 Mr.Erdenebayar.R is working as an Executive Director of the Blue Mongolia tour agency. 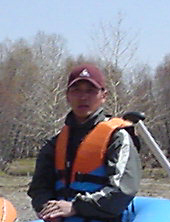 Erdenebayar.R was working in business groups as a marketing manager and executive director in last 20 years. He was born as a horseboy in eastern part of Mongolia. His own hobby is horse and horse culture. Based on his own hobby and this golden heritage of horseman country, he would like to improve the travel products related to horse and horse culture. Due to Erdenebayar's initiation, our horse riding and equestrian travels' programs includes some interesting horse shows, meeting with horsebreeder family, racing horse trainers, as well some horse ceremonies: horse milking, cutting the mane of horses, horse branding, choosing stallion, making saddle and so on.. His next goals to do for travel agency's development is to improve and increase cultural travel products related to Mongolian history and tradition. 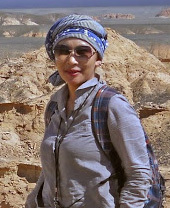 Since 2001 Mrs. Narangerel.O, qualified in Tourism Management and own National Tour Guide Certificate-II, is leading the Tour Arrangement staff of Blue Mongolia Tour agency. Motivated by a never-ending question for quality tours, the tour staff designs tours where creativity, precision & elegance are in absolute harmony. Tour staff can arrange itineraries to every corner of Mongolia tailored to requirements of each traveler's interest. They specialize in customizing thoughtfully planned tour packages, such as adventure, sports, and spiritual, tribal tours, as well as incentive, historic & cultural tours, utilizing the best facilities and services to Mongolian exotic destinations such as National Parks of Gobi Desert, Khara Khorum, Khuvsgul lake and so on.. .
Tour arrangement team involves lots of different professional people such as: english, french, chinese, german speaking tour managers, tour guides, drivers, mechanics for cars and motocycles, chefs and assistant cooks, local horse and camel guides, horsebreeders, camelbreeders, paleontology experts, buddhist monks, shamans, history researchers and so on..
Mr. Chinggis.A, qualified in field of Information Technology & Business Management, is leading the advertisement and online staff successfully. The team aims to promote hospitality service as advertising the tours to the world and find out the tourism business solutions. 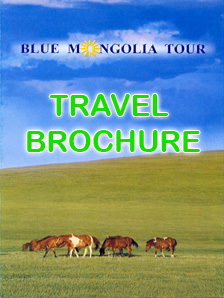 They invented this www.bluemongolia.com site and it is offered in english not for only travellers, but also the people, who want to get the detailed information about Mongolian History and culture.